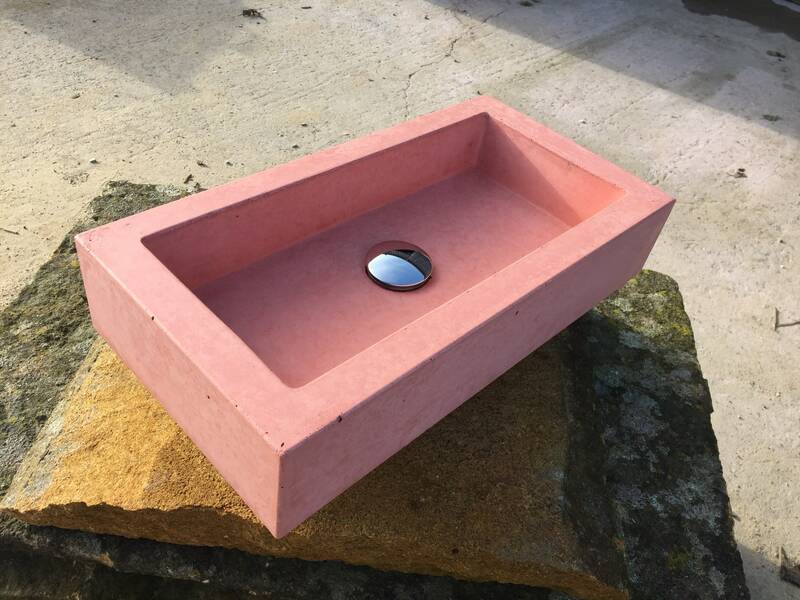 This beauty of a sink is from our very popular small sink range. 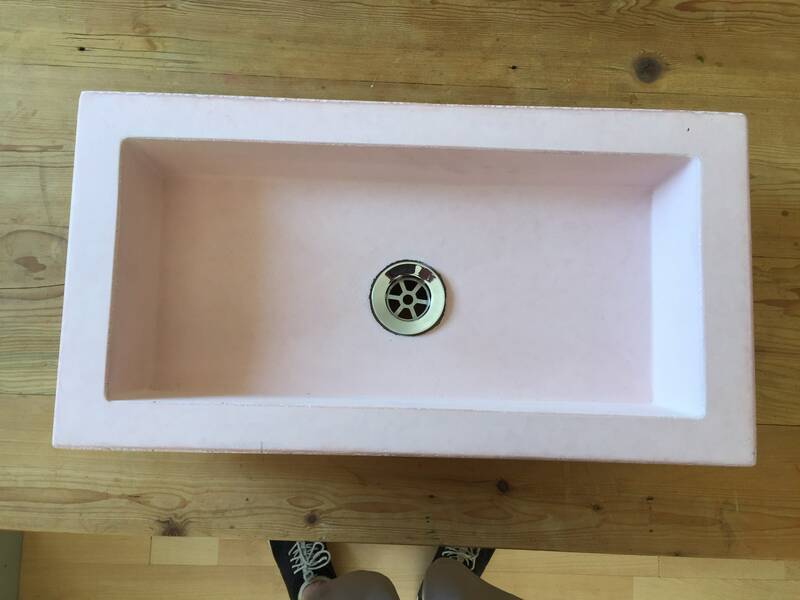 This pastel pink has just enough pink to give it a really light colour without it being over powering. 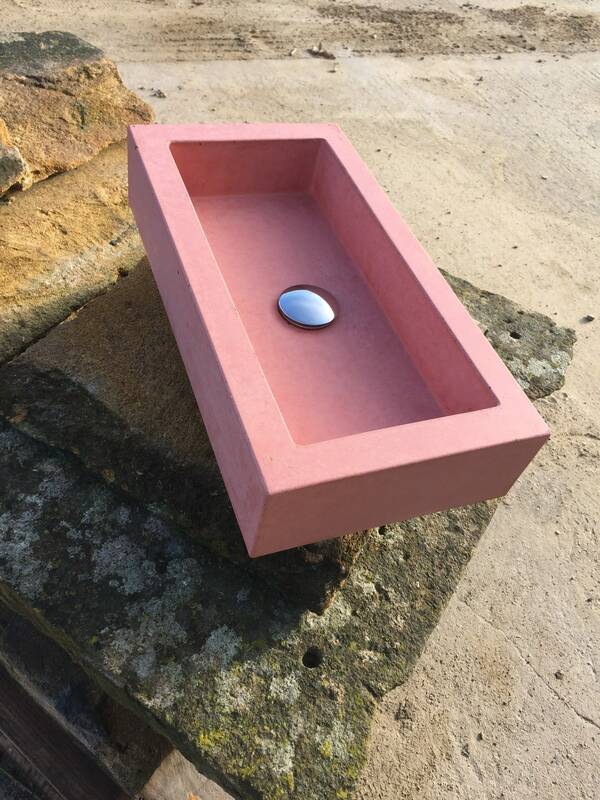 This has been a real hit for the small bathroom, it’s compact size and modern style will make it a stand out piece anywhere it finds a home. 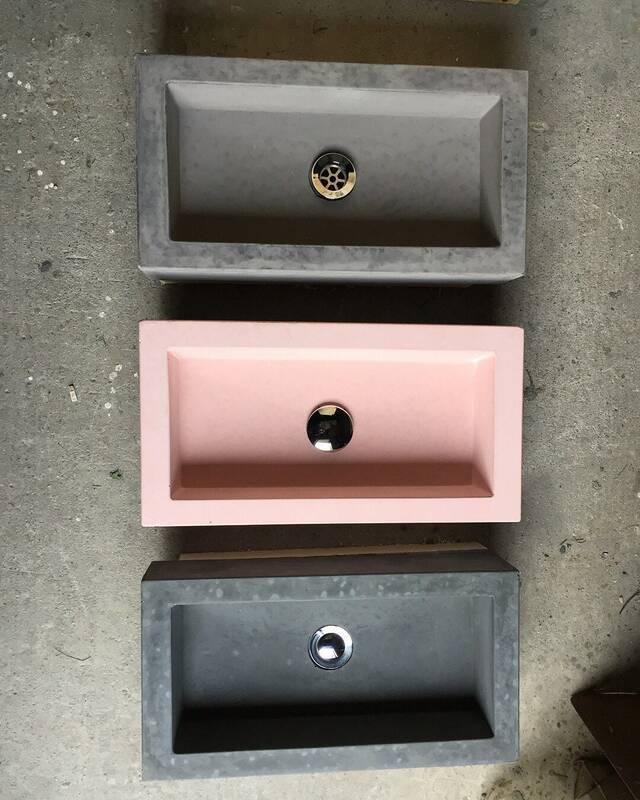 This sink is handmade like all our sink in real concrete, years of mix designing allows us to achieve amazing results. 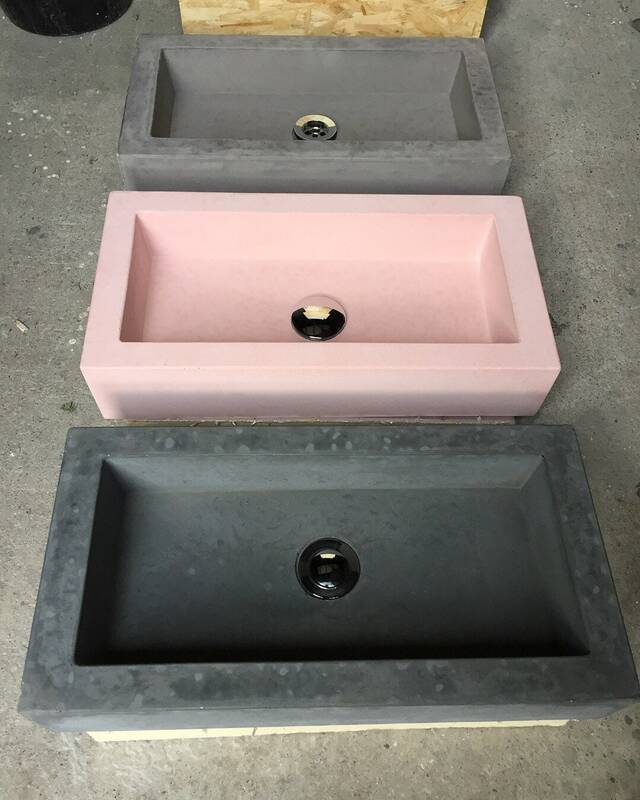 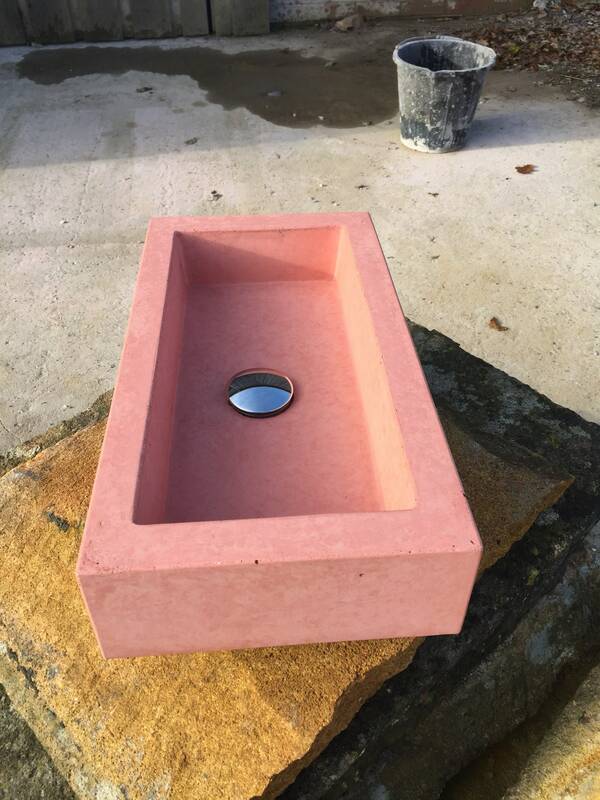 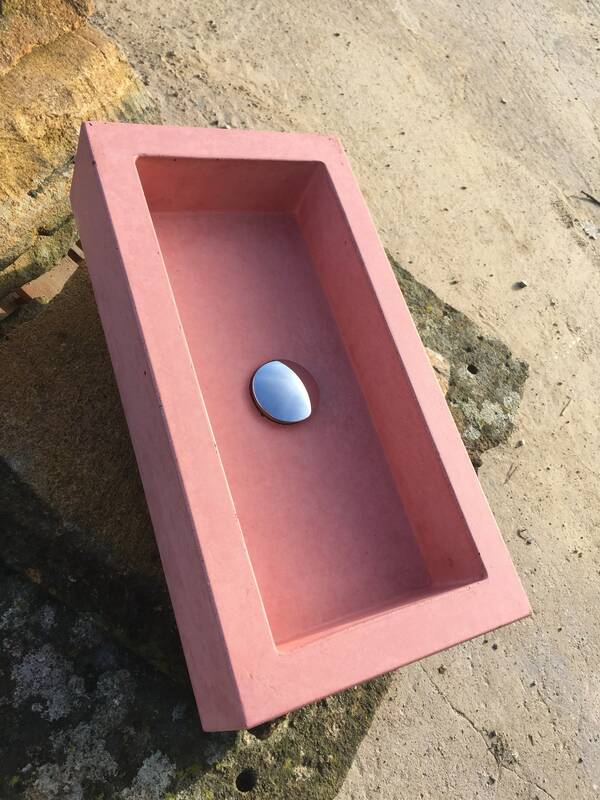 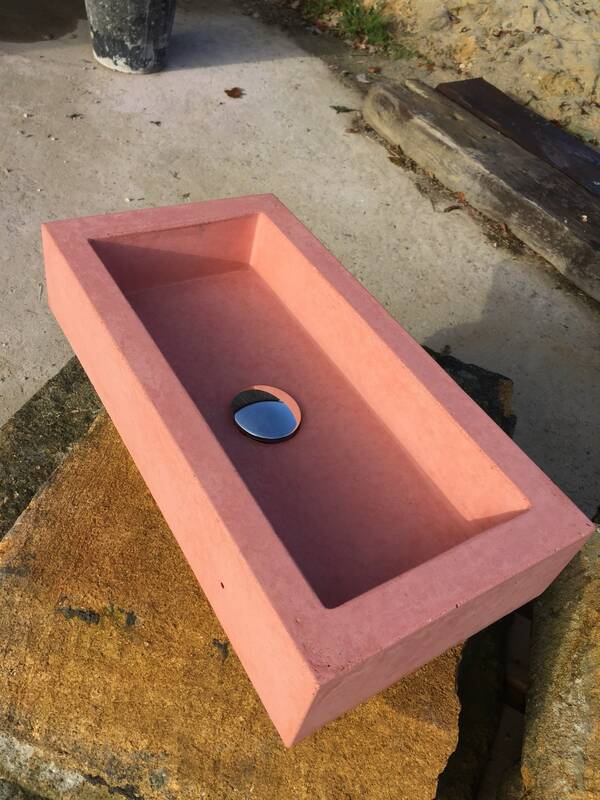 We leave all our sinks as natural as possible to real show of the beauty of concrete as it should be raw, robust but also with a delicate feel to. 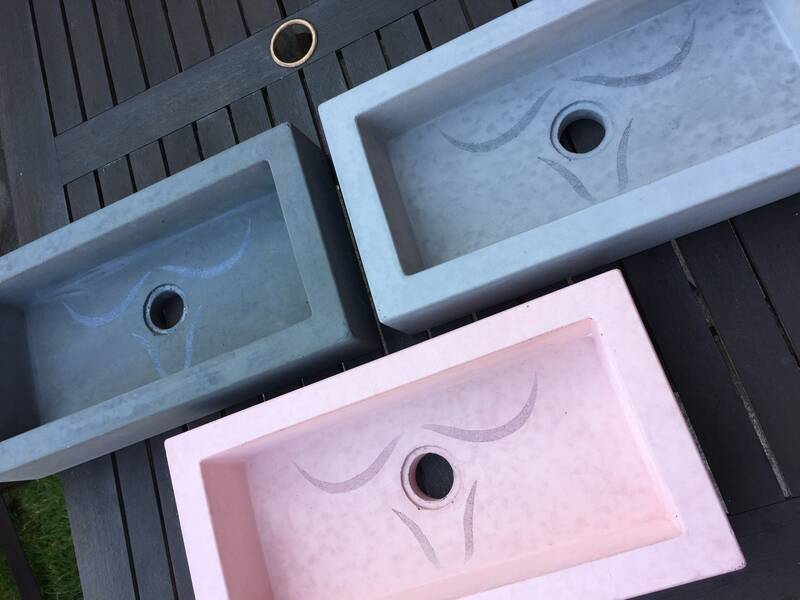 Each one is completely bespoke every time. 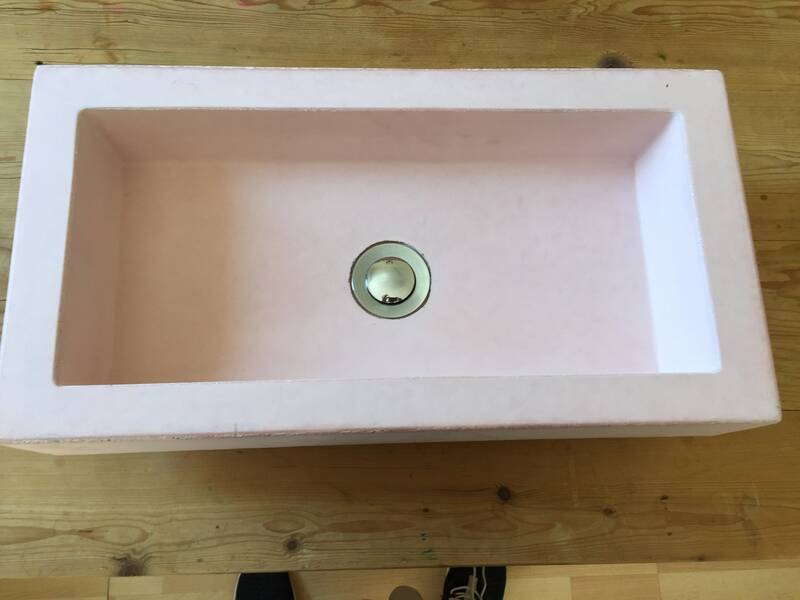 This sink is 16kg sealed with our impregnating inhibiter.